When I was very little, maybe an infant, I was given a small, pink stuffed bear that had a tiny bell inside it. He, for he was a boy, in spite of his color, was my favorite doll. I named him Ham when I was two. I don't remember why, but that has always been his name. My own mother had a small doll collection of decorative dolls and porcelain figures that weren't meant for play. The collection includes a set of pink poodles, a mother and two pups, and a blonde belly dancer doll her father had given her. All of these dolls became mine when I was maybe five or six. At about the same time, Arco gas stations had a promotion going in which they gave away a doll with every tank of of fuel purchased. 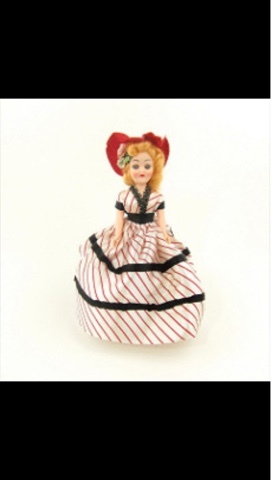 The dolls were each dressed in stereotypical national costumes of different countries. I was obsessed with them. Every time we filled up, I wanted one. I did have one or two, but could never collect more because the Arco we went to always seemed to be out of dolls or only had the dolls I already had. As a result of my obsession with Arco dolls, I started receiving dolls for my growing collection as presents on birthdays, Christmas, or if family friends and relatives were visiting after traveling. By the time I stopped collecting dolls in early adolescence, my collection had grown to include nearly 75 or more dolls and figures. It was already large enough by the time I was 8, that it needed its own china cabinet. I had dolls I liked more than others, and dolls that felt evil to my child's imagination and sense of magical realism. I believed it was possible that my dolls had a secret life of their own, which they lived when I was out of the room, or while I slept. The exotic green eyes of the belly dancer doll were painted on in a way that made them seem to stare at you no matter where you were in the room, regardless of the angle the doll was placed. Most of the time I turned it around, and placed it behind other dolls. It was one of the largest dolls in my collection, so I could never completely hide it from view, and often it seemed to find its way back to the front. I suspect a house house cleaner/baby sitter we had would rearrange my dolls as she dusted, but at the time, my wild imagination was sure the doll did it by itself to scare me. I'd often scold it as I hid her again. Besides the decorative dolls in of the cabinet, I also inherited a doll from my mom that was a precursor to Barbie, maybe a Cindy doll or similar. The doll has a 1950's hairstyle and came with an entire wardrobe of clothes in a wooden closet. She was amazing! I played with her more than I did with any Barbie dolls I had. In fact I played with her so much that over the years, most of her shoes got lost, and her clothes were either lost or wore out. At some point my mom, or I must have decided I'd outgrown her, so we donated her to a charity thrift store or sold her at a yard sale.. Of courseI deeply regret that decision now. With all my dolls, including favorites from my fragile decorative collection, I created little plays by myself whenever I was alone in my room. Sometimes the scenarios were reenactments of fairytales I liked, or my own made up stories with common plots like princesses getting kidnapped and then rescued by a prince or a knight. There were always battles, and usually the prince/knight and princess went off to have adventures together rather than simply "live happily ever after." As a result, some of my decorative dolls became chipped, or were missing body parts. In my tweens and early teens I played with my dolls less and less in favor of focusing on dance, music and acting, but the doll display cabinet always had a place in my bedroom. I kept the cabinet until I went to college. 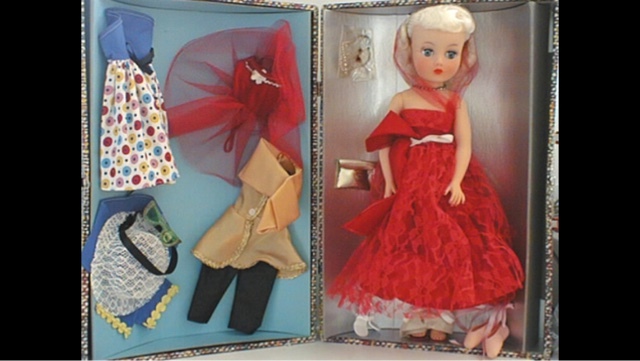 At around that time, I packed up my dolls, and kept them with me, but boxed up. No longer displayed, and rarely looked at, they were stored in closets at my apartments, or at my parents' during the times I lived overseas. In fact, I kept my doll collection until about 6 years ago when it became a casualty of an infestation in an apartment building near downtown Los Angeles. 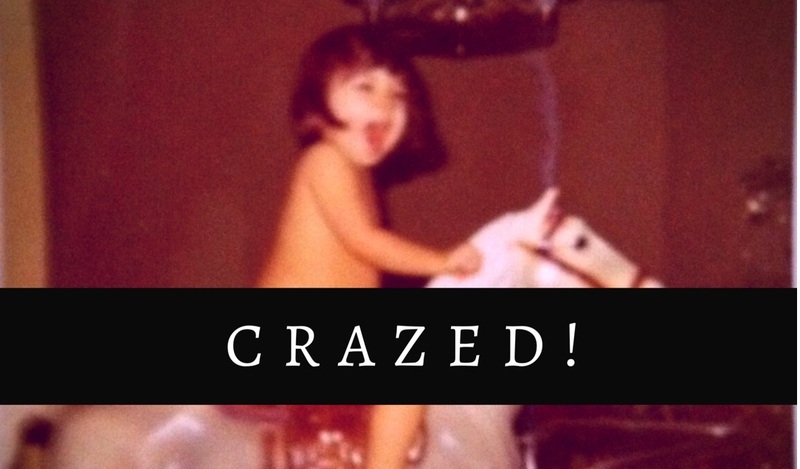 I lived in a gorgeous studio apartment that had dark red natural hardwood floors, and a huge clawfoot bathtub. But its beauty was only superficial, for beneath the floors and inside the walls, lived a huge colony of bedbugs. The landlords refused to fumigate the entire building, so the bugs, no matter how much I cleaned, vacuumed, sprayed and bagged items, always returned. 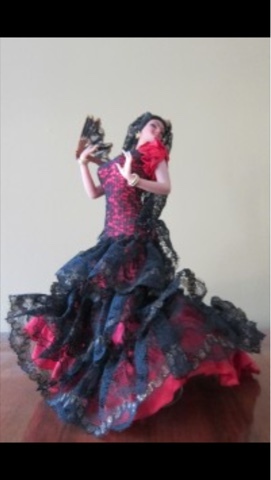 As a result, I was covered in bites and as a precaution when I moved, I threw away most of my possessions, including large pieces of furniture, a brand new IKEA sofa bed, many of my books, and unfortunately the doll collection. I often think of my collection. It represents my neatly packed, not quite locked away childhood. 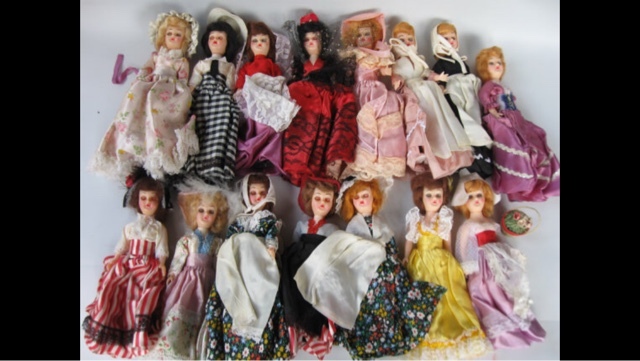 The dolls were participants during my most innocent times when I attributed consciousness, thoughts, feelings, and movement to everything, and when the entire world seemed magical, beautiful, frightening and supernatural. The dolls were also silent witnesses to the breaking of that innocence through my parents' divorce, and my abuse at the hands of my mother's second husband. They heard from storage the turmoil and breakdown of my own failed marriage. Then after so many years of love followed by mummified neglect, they were discarded., thrown into a dumpster, still inside their dark cardboard coffin, and tumbled into a landfill or incinerated. There's a scene in Disney Pixar's "Toy Story 3," where a group of the now grown Andy's toys end up nearly melted down at a dump. Was that the fate of my dolls? Or are mine buried? Perhaps the box burst open and some escaped, exhausted, unloved, only to collapse and be covered over by trash, leaving the lone belly dancer, always the survivor, lying there. Her eyes, staring up at the sky, scaring gulls and crows.